The Acropolis ( Athens Greece ) is situated on a plateaued rock 150 meters above sea level in the center of the capital. 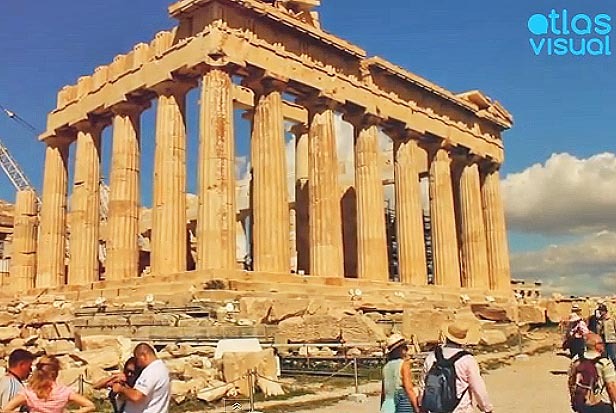 In the 7 acre area there are many ruins, the most famous being the Parthenon which was built in the 5th century. Additionally, there is the Temple of Athena Nike, the Erechtheum Temple, the Theater of Dionysus and the partially reconstructed Theater of Herodes. Entrance to the Acropolis is 12 € and allows access to some other archaeological sites in Athens. Open everyday (excluding holidays) from 8:00 am to 8:00 pm (Last admission: 7:45 pm).